Fed up with your chaotic attic or want to get rid of some unused white goods? No matter how big or small the task is, come to Away With It for house clearance in Waltham Abbey. 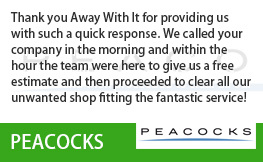 Having been providing a seamless house clearance service in the area for over 10 years, our teams of experts are ready to come and clear any unwanted waste from your property. We tailor services to suit you and can provide a free no obligation quote and same day collection if that would fit in with your plans. Whether you are having a new bathroom fitted or are in the midst of moving to a new property, there will inevitably be some clutter or old furniture you would like to get rid of. It can be confusing knowing what to do with your household waste, especially if you don’t have a recycling point or local tip. Away With It take away this stress by arranging to come and clear your home whenever suits you. Not only are we fully insured and licensed professionals, but we can remove virtually all non-hazardous waste and recycle 80% of what we retrieve. 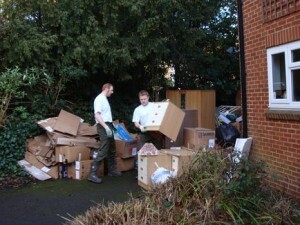 At Away With It, we know that house clearance can often be put off time and time again due to commitments. 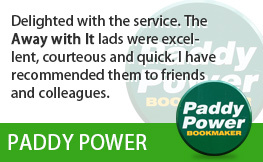 However, we can fit in seamlessly with your plans as we are open seven days a week between 7am and 11.30pm. As a result, no matter how tricky you think your requirements may be, we will always create a bespoke house clearance plan that is centred around you. It is not just our flexibility that we are championed for. 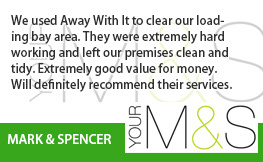 We have been offering house clearance services in Waltham Abbey for over 10 years and our friendly teams provide nothing less than a professional service, ensuring the customer is happy at all times. So, what will happen on the day of my house clearance? After dates and times have been arranged to suit you, on the day, you will get a call from your team letting you know they are on the way to your property. You will have chosen a guaranteed two-hour time slot when planning your service, the call is just to keep you well informed and to provide an ETA. On arrival, our team will get to work straight away, removing that weighty fridge freezer and expertly removing boxes of waste. Don’t even think about lifting a finger. 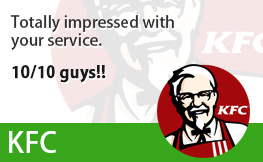 Why put yourself out when we are happy to handle everything for you? They will then tidy up after themselves and leave you free of your household waste. Regardless of the size of the property you live in or the amount of waste you need clearing, do not hesitate to get in touch with us to discuss your house clearance needs. 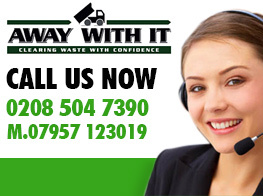 We are fully insured and licensed experts, meaning we abide by all regulations and dispose of your waste lawfully. 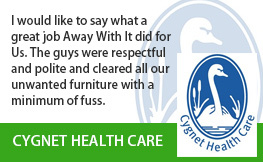 You can also have peace of mind when it comes to the environment as 80% of what we retrieve is recycled. If you would like to discuss your needs in regards to house clearance in Waltham Abbey, or would like to receive a free quote from our team, give us a call on 0208 504 7390 or 07957 123019. 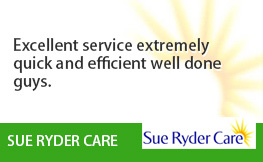 We are available to take your call 7 days a week, from 7am, to 11.30pm.